Loch Rannoch (Scottish Gaelic: Loch Raineach) is a large body of fresh water in Perth and Kinross, Scotland. The River Tummel begins at its eastern end. The Tay Forest Park lies along its southern shore. The wild Rannoch Moor extends to the west of the loch and used to be part of the Caledonian Forest that stretched across much of Northern Scotland. This is proven in part by the presence of Scots Pine stumps preserved in the boggy areas of the moor, and pollen records from peat cores. 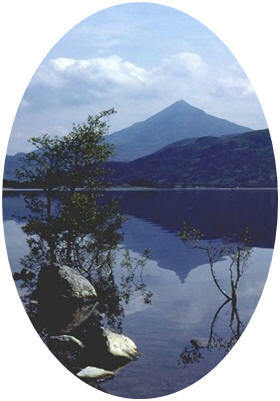 The small village of Kinloch Rannoch lies at the eastern end of the loch, and a crannog (an ancient artificial island) can be found near its western end. 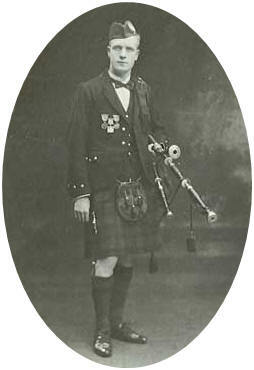 John Wilson (shown above) was born in Edinburgh in 1906 and began learning the pipes in 1915 from Pipe Major Robert Thomson of the Argyll & Sutherland Highlanders at Edinburgh Castle. He progressed quickly and in 1917 was sent for tuition to Roderick Campbell, who won the Gold Medal at Oban in 1908 and was one of the leading composers and teachers of the day. They developed a most productive teacher-pupil relationship and were good friends until Campbell died in 1937. By this time he was flourishing as a composer, and his tunes were gaining in popularity. In 1937 he published his first book of music containing original compositions not just by himself, but by John MacColl, G. S. McLennan, Roderick Campbell, Peter MacLeod Jr., and Ian C. Cameron. A second volume would appear in 1957 and a third in 1967. To this day the three John Wilson collections rank in stature alongside those of Willie Ross and Donald MacLeod. He volunteered for service in World War II and was appointed Pipe Major of the 4th Battalion Cameron Highlanders, the Inverness-shire Territorials. John Wilson cut a larger-than-life figure through all his days. His quick wit and unrelenting determination to say and stand up for what he thought did not endear him to all, but certainly earned him respect and a reputation for integrity given to few others. He died from lung cancer in Toronto on November 6, 1979. He left his body to science and there was no memorial service.